WGMU Radio is hiring paid and volunteer executive/general staff positions for the upcoming 2018-2019 academic year. 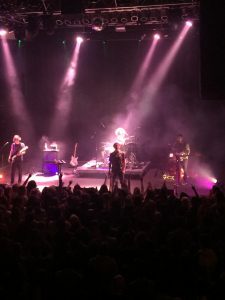 The station is looking to fill six positions. The list of the six positions are below. To view the job description, click on the title. QUALIFICATIONS: Must be an enrolled Mason student for the upcoming year. Must maintain a 2.5 GPA and be familiar with WGMU. TO APPLY: All interested job applicants should submit a completed WGMU Employment Application and your current resume with a cover letter (references are preferred) to WGMU General Manager to Sasha Toophanie, WGMU General Manager by email: stoophan@gmu.edu with your name and the position title in the subject line. The deadline for submissions is Monday, April 9, 2018 at 5pm. WGMU Radio is an employer of equal opportunity. All genders, races and orientations are encouraged to apply. As the Hokies came in the favorite for this game, that did not stop the Patriots from fighting back as they tried to close the gap in late. 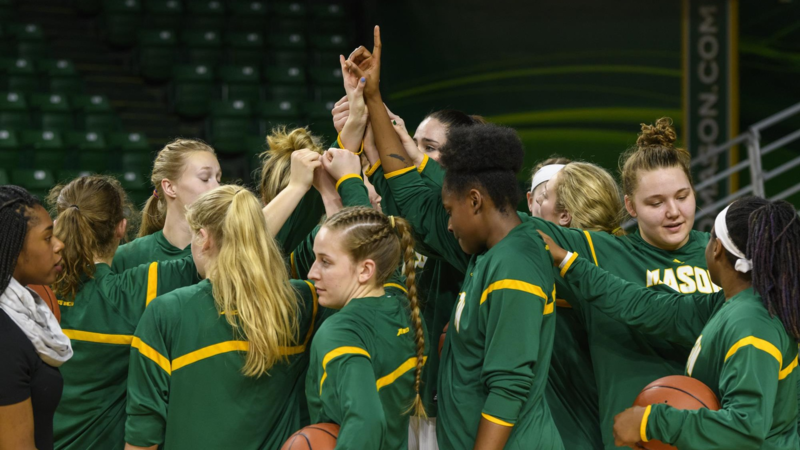 BLACKSBURG, VA – George Mason (24-10) took on Virginia Tech (20-13) this Sunday in the second round of the WNIT. As the Hokies came in the favorite for this game, that did not stop the Patriots from fighting back as they tried to close the gap in late. 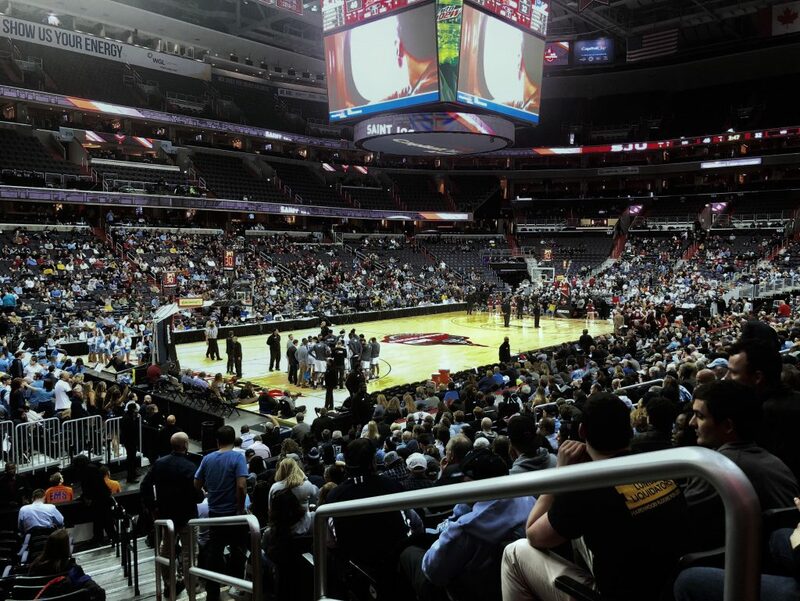 However, this one went the Hokies’ way as they won by a score of 78-69. Even though the season is now over, it was most definitely one that will not be forgotten. 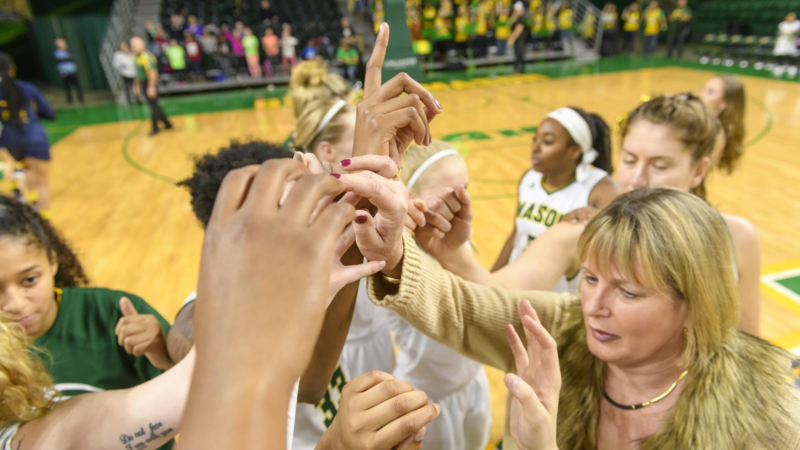 Marika Korpinen started again for Mason as Jacy Bolton was still out for undisclosed reasons. Korpinen struggled from the floor with only 2 points and 2 rebounds having played 30 minutes. 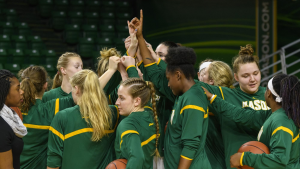 Natalie Butler led the team again with 26 points and 20 rebounds, breaking another record in the process, now holding the school record for most points in a season with 653 points. Nicole Cardaño-Hillary added 15 points of her own, three clutch three-pointers, and 4 helpers. Tayler Dodson finished the game with 18 points, 2 three-pointers, 6 rebounds, and dished out seven assists. VT’s Tayler Emery led her team with 23 points, 4 rebounds, and one three-pointer. VT had almost 5 players score double digits, with Aisha Sheppard just short with 8 points. Mason turned over the ball 17 times, with the Hokies scoring almost 30 points off of Mason’s miscues. At the beginning of the game Mason stuck with the Hokies up until the 3-minute mark of the first quarter where then Virginia Tech went on an 11-0 run, ending the quarter up 21-15. 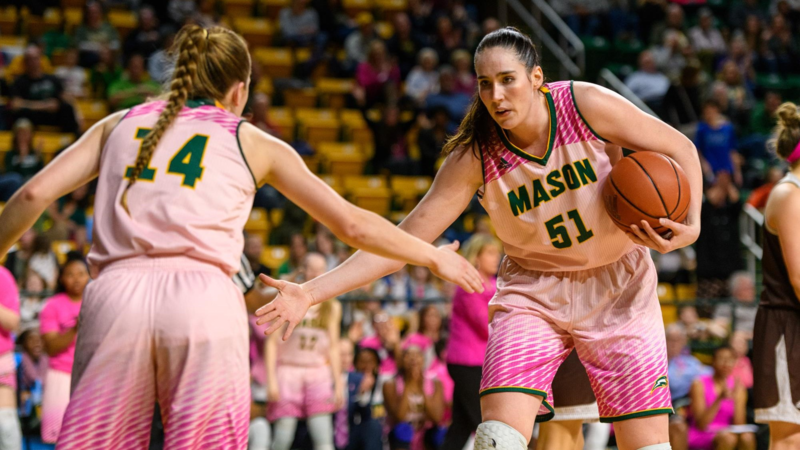 During the second quarter, Mason struggled to score more than 10 points, and VT was relentless shooting 50% of their field goals and at multiple times being up by as much as 20 points. The Secretary of Defense, Natalie Butler, was not her normal self the first half, and neither was our offense. Mason needed a spark to ignite their play. 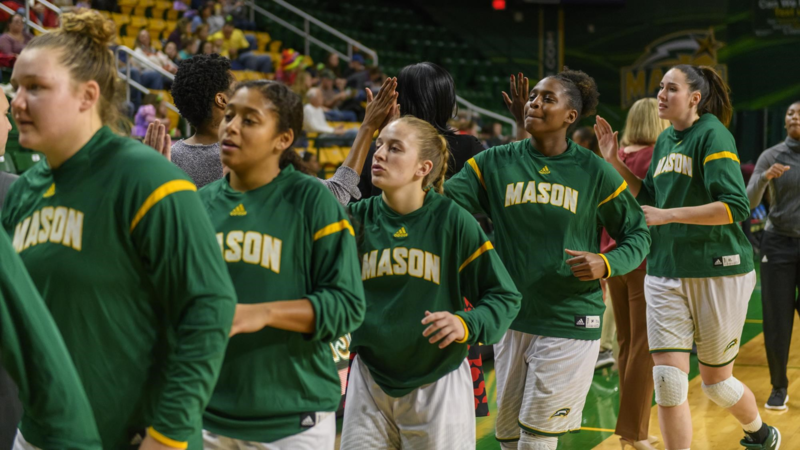 In the second half, Mason became as close as eight points behind the Hokies with a score of 55-47. Mason shot a much better 62% from the field, but their comeback was fleeting as VT scored two three-pointers to widen the gap to 14 points. 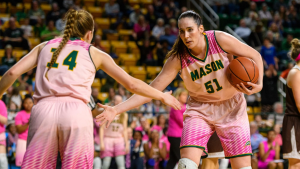 Mason’s defense was much stronger in the paint than it was in the first half, however, Mason’s weak perimeter presence was being capitalized on by the Hokies as they made 9 three-pointers throughout the game. With a minute to go, Mason closed to the gap to only five, before turning the ball over on two consecutive key possessions. 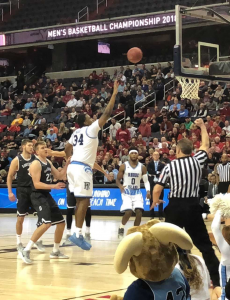 Mason then played the “foul game” and VT made four of six free throws to end Mason’s tournament run and season by a score of 78-69. This was a great season by the Mason Women’s Basketball Team, hopefully they can continue to progress next season without Natalie Butler and Tayler Dodson. They should definitely be proud of themselves as they worked extremely hard and did so many things that have not been done before in school history. Thanks for an awesome season, ladies, I’ll still be in the Green Machine next year cheering you all on, best of luck. Stay tuned for a Season Recap on WGMU.